Philip Friesen is a longtime campus minister at the University of Minnesota, having most recently served with the Galilean Fellows. He is the author of The Old Testament Roots of Non-Violence. Humans are physical beings. Our identity is chemically coded in each physical body and reveals family, clan, and tribe, all traceable back to a common human ancestor. Human DNA is unique to every person. Even if reproduction were to go on forever, every person would still be unique in the order of things. It is an infinitely expandable system. There is a problem, though. 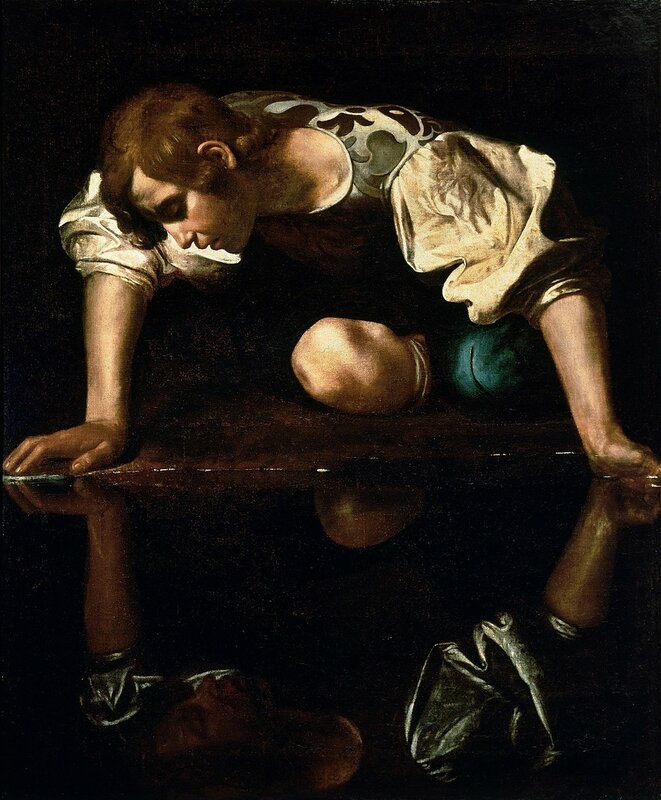 Modern, Western culture wants us to concentrate on ourselves, all little Narcissuses staring at our reflections in the pool. That’s a problem for people made for community and for love, not merely the transmission of a gene pool. When we transcend our material existence, we discover that our identity is wrapped up with God and a human community bigger than any of us individually. Genesis 1:26-28 connects maleness and femaleness with the image of God, and then in Genesis 2 marriage is introduced. The natural outcome of love between human parents results in more people to love. As love deepens, it also expands to include more and more people to be loved, whether through procreation in the family circle or by extension to friendship outside the circle. Our creation gave God more to love. Human society begins with parenting. God designed every child to observe mature, mutually self giving love by observing his/her parents. That is why marriage is meant to be inviolable and indissoluble: Parents represent the eternity and trustworthiness of God to each succeeding generation. Marriages that do not fall apart reveal the God who will never fall apart and is always trustworthy. In this way they reflect the nature of the Trinitarian God as his image. Shared identity is what creates the circle of family and community. Personal identity within that circle then, is a gift from parents, clan, and community, not an achievement. Child/parent bonding is designed to begin in the womb where two exist as one, yet cannot be only one. The child first identifies with the mother as its creator and sustainer, but the marriage bond brings in the father who loves the mother. The love of father and mother in unity as one is designed to teach community even before the child can speak. When the parents share a spirit of love and trust in submission to God, insecure pride will not seek to control relationships. Selfish ambition will be an alien concept. Rank within hierarchy will be a mark of belonging, not a burdensome restriction. Growing up in such an environment, a child has no trouble with believing in a God of love. Even thinking of one God in multiple persons will not boggle the mind, because two parents identify as one in God’s image. In Genesis 2, the man transfers his primary identity from parents to wife and receives a new identity. In Genesis 2, the man was assigned work in the garden: classifying the animals. This, however, was not entirely satisfactory, because the man was still unclear as to who he really was. He needed an equal relationship with someone in whom he could recognize a reflection of himself. The woman provided this relationship, and the family system was born. In this system, relationship is what defines each of us, not accomplishment. Work becomes the joyful expression of who we already are, and not the thing that defines us.Love is creative and productive, and, in this atmosphere, work will be joy and not the toil of Genesis 3. Doing is delight when empowered by love. Of course, this ideal is not what we see around us, because God’s self portrait (God’s image) was defaced by sin. No child has ever been born into a circle of perfection such as I’ve described above. Yet despite the damage done to God’s image, marriage as an institution in written into the human heart, and as an institution, has kept the ideal of oneness in marital bliss alive. The love poetry of the world quite universally celebrates this romantic dream, even when we have forfeited the blessings. However, a generation cut off from these ideals will sing, not about lovers and eternal happiness, but rather about disappointment and brokenness. That appears to be where we are today, at least in the West. If we experience political and social disintegration, it is because we have neglected the foundational values upon which the house of humanity was designed to be built. In this situation then, confidence declines as physical insecurity and economic insufficiency control the agenda, even in the richest and most powerful country on earth. John tells us that perfect love casts out fear (1 John 4:18). When children grow up in an atmosphere where fear of rejection, fear of failure, fear of shortages, and fear of being known for who one is—when these fears are mastered by the rule of love, and as mutual trust begins to increase, then society will change correspondingly. If this does not happen in a nation’s families, then any pretence of social progress based on legislation will all be illusion. When surveying the landscape of history, the surveyor needs a ground zero position from which to evaluate all other elevations. The creation story in Genesis gives us that stable, ground zero position. However, the fall of darkness described in Genesis 3 has made it impossible for humanity to see what is actually there. Jesus is the light, and he shines from the cross. Only in the light of the cross and resurrection can we begin to see what is actually there in the Old Testament, to understand who we are, and recognize what God has been doing. Thank God, Narcissus. You---and we---are not alone, after all. In the incarnation, the Divine Son left his home with the Father and chose a human identity to become one with his bride on earth. The principal laboratory for me to develop this analysis is the home in which I grew up. Mom was a completely paralyzed, arthritic invalid who raised a family from her bed. Dad cared for her in this condition for 40 of their 46 years of marriage. If there ever was a fallen, sinful man who, nonetheless, loved his wife as Christ loved the church, it was Dad. As to Mom, she managed a household from her bed, kept 3 children entertained, and helped educate them. No woman ever had a higher sense of self esteem and just plain grit than she. Her book of poetry, Verse from Twisted Fingers, by Amanda Friesen, though out of print, can still be found in used bookstores via the internet. Life was no picnic, but Love prevailed by Grace and Grace alone.